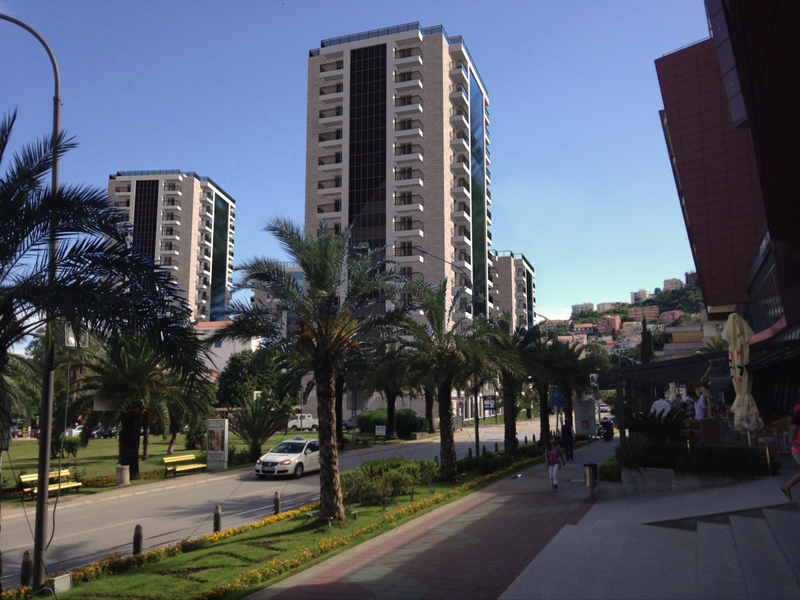 FONTANA CENTAR RESIDENTIAL & BUSINESS COMPLEX Exclusive complex “Fontana Centar”, Budva is located between “Mediteranska” bulevard and “Slovenska obala” pedestrian road. 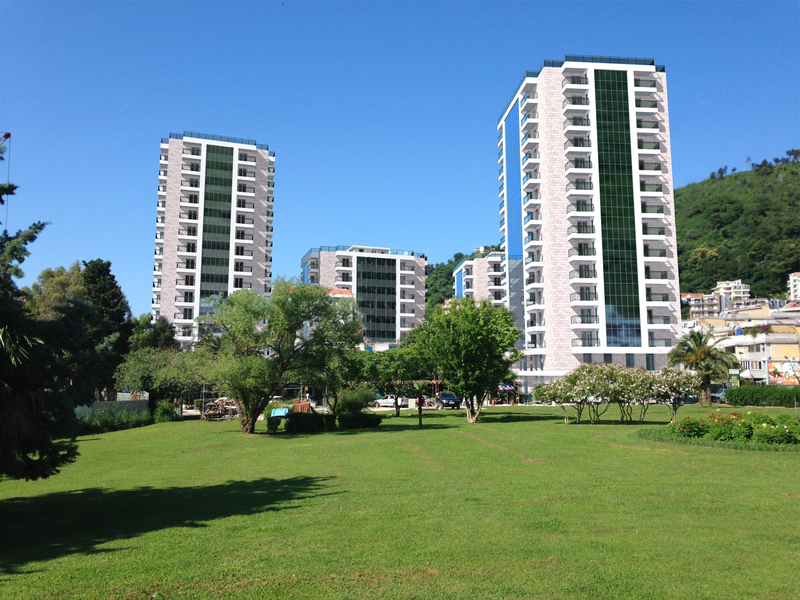 Complex is distant about 80 m from “Slovenska” beach and about 400 m from Old Town Budva. Complex “Fontana Centar” is formed of five separate buildings above basement level with unified under ground structure of two level garage interconnected with all separate buildings. Each of five buildings is made up of basement, ground floor and upper ground floor, from which additionally two buildings with 13 floors and two with 7 floors. 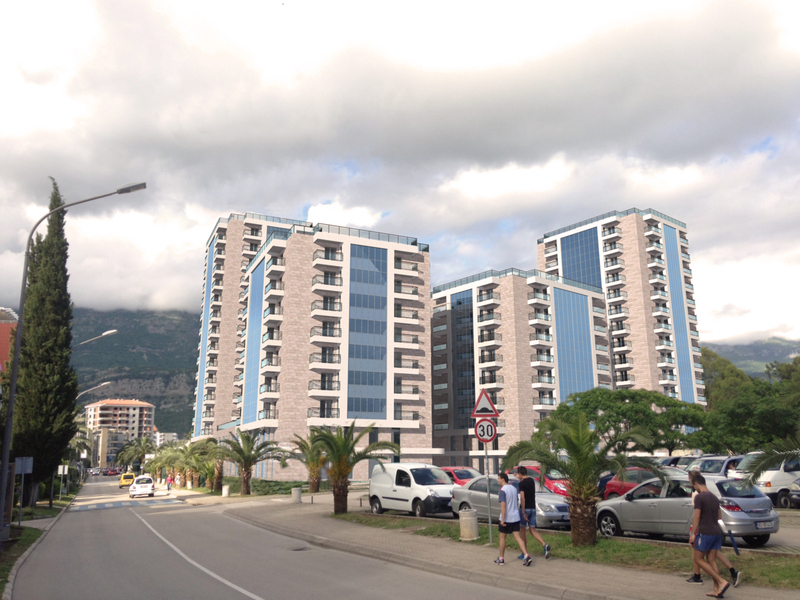 “Fontana Centar” will be constructed as earthquake proof structure with natural and environmentally acceptable materials followed by excellent termical , acoustic and water-resistant characteristics. Basement, ground floor and upper ground floor are intended for commercial activities as shops, restaurants, cafés… In the alternative solution of floor plan is possible to choose two, four or six apartments on each floor. 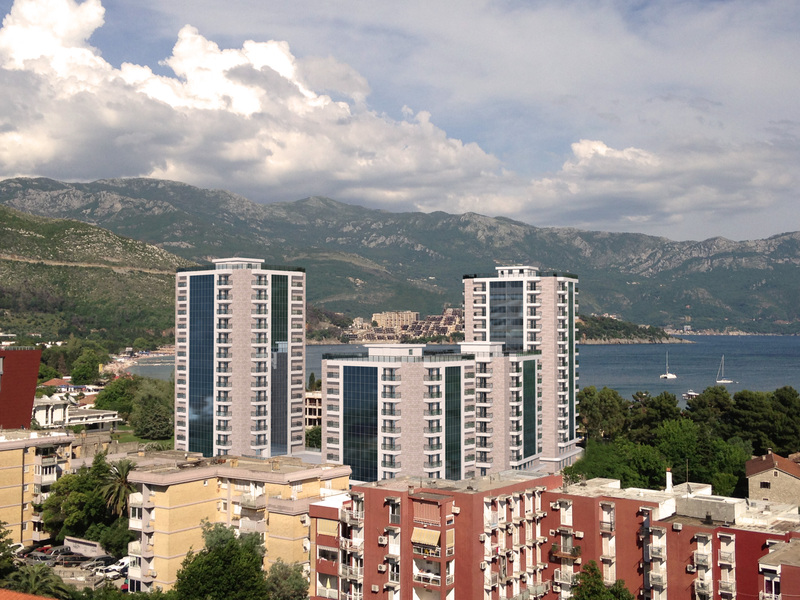 Each apartment is separately airconditioned and heated and on separate AC power-meter and water-meter. All communications in buildings are served by staircases and elevators. Connection between garage and ground floor is separate and served with one elevator and staircase and connection from ground floor to upper floors is served with two elevators and central staircase. Two level garage is designed with capacity of 139 parking spaces automatically operated for internal and external traffic with all safety and fire-resistant ventilation system. All finishing work is designed with high quality materials as natural stone, marble and glass facade, parquet, high quality ceramics, sheeted wooden doors and windows with external aluminium, etc. Exterior woodwork on doors and windows is made with aluminium cover on external side and wooden structure with varnish natural wood color on internal side. All exterior doors and windows are with aluminium rolling sunblinds. Railing on terraces and balconies are made from stainless steel and glass. Everything else is made in high quality standards. Hotel “Fontana” within “Fontana Center” will be located in building B. Basement, ground floor, upper-ground floor and roof terrace are intended to be hotel common grounds such as lobbies, cafés, restaurants, Spa&Gym and other hotel facilities. It is intended that hotel management hold the control of the entire garage operation and maintenance. Accommodation section of the hotel (floors I to VII) comprises of 78 double-bedrooms (22 interconnected, 24 standard, 24 superior), 8 penthouse suits of type 1 and 2. The hotel is to be finished by summer 2015. It will be 4* fully furnished, probably with Best Western license and standard furnishing. Developers are offering partial ownership of 50% or hotel can be fully owned. Interesting that a Tour Operator has offered to buy 150 days full capacity per year in advance from the day hotel is open, this deal is still available! Which means the investor will buy already profitable hotel! 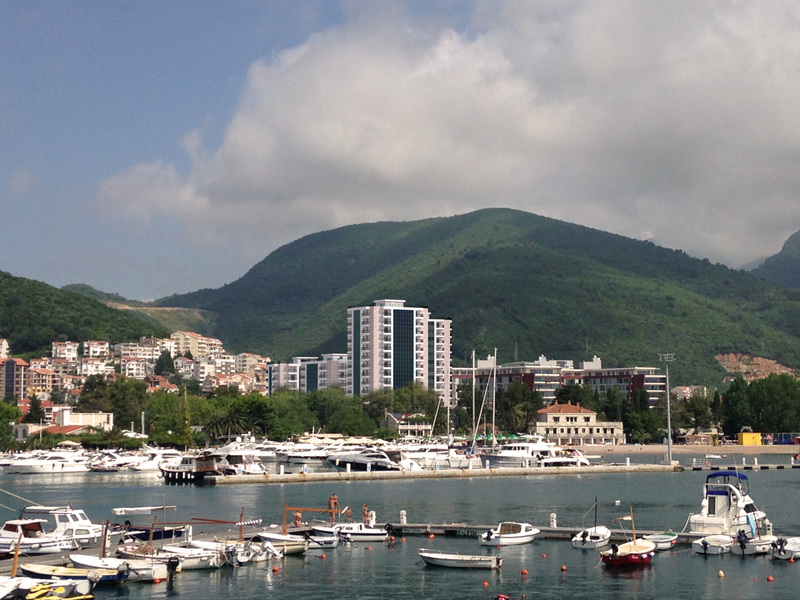 It was estimated that on the 60% occupancy rate hotel will make around €1,5 million profit.